Fry Scoops – New Product! What’s even better than 16oz of hot, crisp fries? 24oz of them! 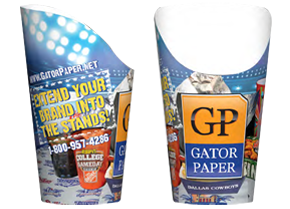 In 2015, Gator Paper has resolved to continue rolling out new additions to our customizable line of food service products. Fry Scoop Cups are a one-of-a-kind food service item available in both single or double coated paper for hot or cold applications.These handy products are easy to load, easy to serve and do a great job of keeping food bags fresh and tidy.Take prep and presentation to the next level with a product that make sense for your busy establishment. • Perfect fry cup for any size restaurant! If you’re looking for ways to boost efficiency, minimize cost and advance your brand in the New Year – here’s one big way to get it done. 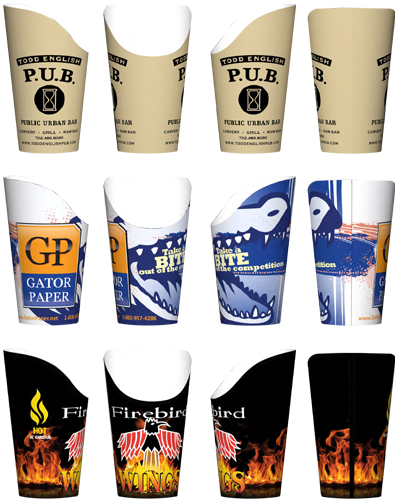 Explore Gator Paper’s custom printed fry scoop cups and more at https://gatorpaper.net/custom-printed-fry-scoop-cups/.